This is us! Kati & Inca! I have had Inca since she was 4 months old. She was 9 years old this year on 14th March. This blog is about our journey together and learning to live with Ataxia. 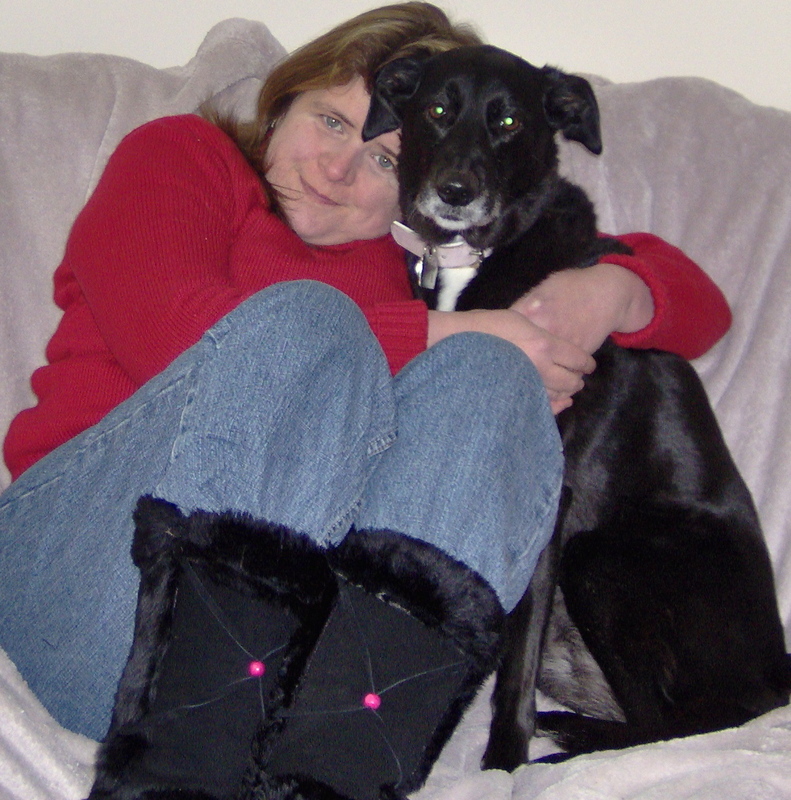 I was born with my thyroid not working which has caused quite a few medical problems over the years, as I went deaf at 16 I was already deaf when I got Inca and she was originally just trained by myself and my dad as an hearing dog for me. She learnt to alert me to doorbell, smoke alarm and my textphone for the deaf (not same as SMS texting on a mobile). She first learnt her basic obedience at a training class that an ex-police officer used to run on the common near my flat. 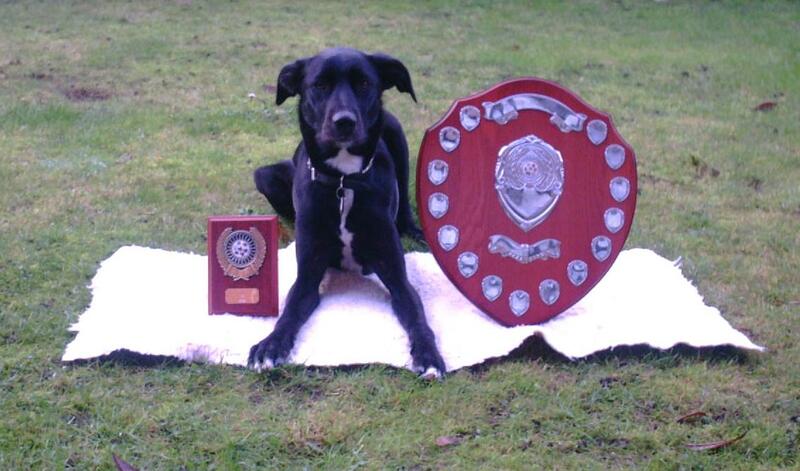 She did really well and we won a few trophies. At first it was put down to many other things – I had slipped on ice a few week back maybe it was swelling pressing on spinal cord or maybe it was stress as my dad had just passed away from cancer a few months previous in August of 2002. 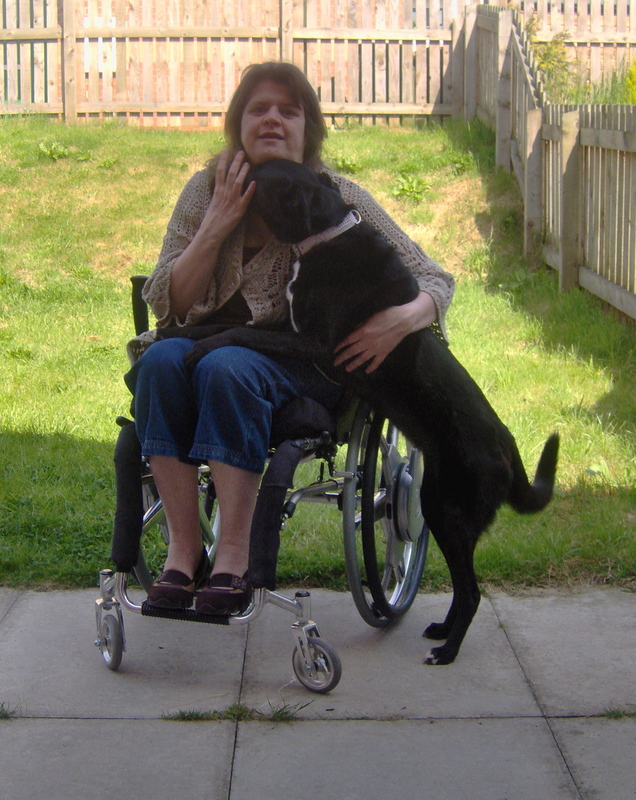 Then it might be MS, then they wasn’t sure, it took a long time to get a diagnosis but I didn’t realise then that was the start of our journey into the world of life on wheels, Assistive Technology and high tech gadgets that speak for you! 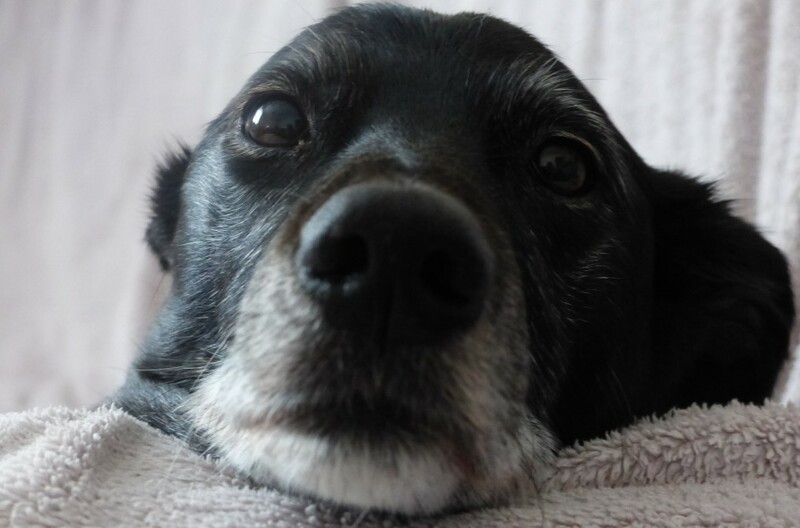 This blog is about our journey together, learning to cope with a condition that changes from day to day and how I adapted with my ever faithful companion by my side. Your journey is an inspiring one and holds much determination. I’m glad you are finding ways to manage independence and communication, and at the same time share it with others who could benefit also. Hi kati, thanks for your link to your website. You’re amazing as you journey along life’s highway with your technology and the shear guts and determination not to be beaten. Take care kati and give inka a pat from me….! Your an inspiration to all! It’s amazing all the things you have done and you information is very helpfully. I will definitely forward it to my friend Carolyn who has FA. I love your dog such a sweet pup! Yours & Inca’s & JJ’s story really touches me. I have a slowly progressing ataxia, and a 5 month old bright labrador, so I’m going to try to follow in your footsteps and train him to hopefully be my helper someday when I will need one. Apart from that, it’s probably going to be lots of fun. Thanks for the inspiration! Looking forward to reading more blog posts from you!